Amapola Exclusive Events is one of the few companies in our country with a successful experience in organizing and conducting large-scale events at the state and municipal level. Events of this kind for a long time have a mass character and allow uniting people and raising the general patriotic spirit. The organization of such events is a huge and complex work, which in the first place, after the determination of goals and objectives of the event, should always have a clear and structured plan of action. In spite of the enormous responsibility, Amapola Exclusive Events Company professionally solves tasks, demonstrates the best results and reserves the enthusiastic reviews of participants and guests of the event. Corporate events are one of the most effective staff incentive mechanisms, creating a positive atmosphere in the team. Planning of the corporate events should be part of the overall strategy of the organization and meet the goals and objectives of its personnel policy. 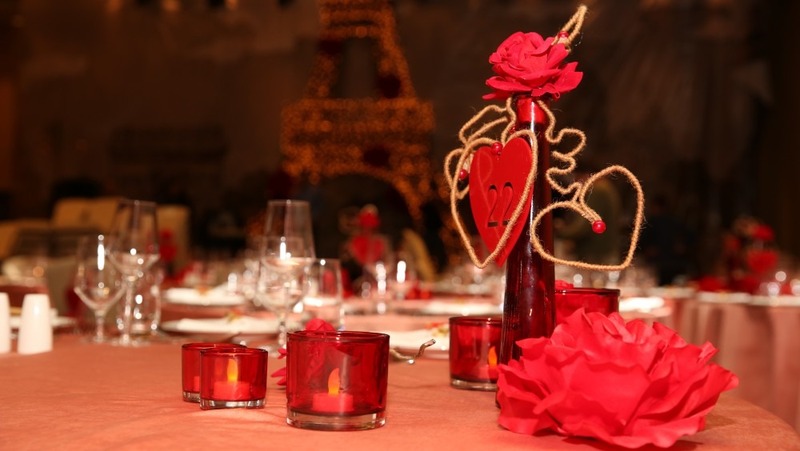 Amapola Exclusive Events knows how to conduct an interesting and effective corporate event. 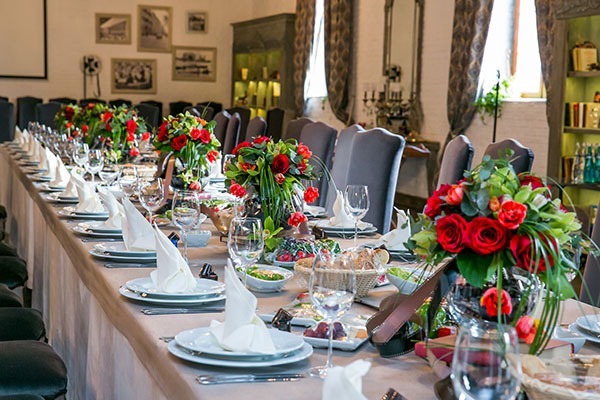 Contact us and we will offer the range of ideas of interesting and exciting events for your choice that can be dedicated to any event in the life of your team. As traditional advertising methods do not work and markets abound with identical proposals, more and more manufacturers have resorted to implementing their marketing strategy using events (event marketing) for promotion of the brand. But in order to get serious impact from event marketing, it is necessary to competently and consistently build the entire process – from setting goals and objectives to the choice of the event content and the method of coverage in media. This is where you need help and professional team of Amapola Exclusive Events. With us, your brand will become more recognizable, and sales will be up! Presentations are a good marketing and advertising tool, because by means of such events you cannot only promote your product, but also promote your work. Amapola Exclusive Events will help you in organizing and conducting presentations. Our professional team quickly creates the high quality projects of the company presentations, products or services. We make any presentation showy, bright and spectacular. The presentations we organized are distinct in their originality and, of course, high quality organization. Conduction of business meetings is an important part to solve problems both within the company, and to build partnerships with other organizations. And today, in the face of fierce competition, those companies benefit that give pride of place to organization of business events in their activity. Amapola Exclusive Events will take care of all organizational matters, and with today’s technology, we will help to carry out business events at the highest level. The press conference is one of the effective ways to deliver information about planned or already held important events to a wider audience. The journalists, the representatives of the media become the intermediate link between the target audience and the source of news. Organization of a press conference should be carried out by professionals, because the way of the information being provided and the attendants of the event are very important, these aspects affect the news perception and whether it will become public or not. Amapola Exclusive Events offers a range of services on the organization of press conferences of any level, subject and format. We often see a public presentation of achievements in the fields of public life on the exhibitions, many of them are “for show”, not leaving anything behind. Amapola Exclusive Events will help you to avoid it and turn the exhibition into a large-scale event, which will be discussed for a long time, and only for good reason. Shop starts with its window, aiming to turn passers into the shop visitors and customers. The main thing in the art of window dressing, as in all art of decoration is the taste. Second place goes to the professionalism and always courage and presence of ideas. All these components together provide a basis for good and promoting windows. All these components are the distinctive features of Amapola Exclusive Events Company, used in the design, decoration and dressing of the shop windows. We all know that birthday is more important than all the other holidays and memorable dates, because childhood memories are the sweetest and the best in our lives. There is no limit of creative ideas at Amapola Exclusive Events! Tell “yes” to the tale with us! For adults the highly professional team of Amapola Exclusive Events turns sometimes the most unexpected desire into reality, taking into account all the nuances of their tempers, likes and preferences. We will prove that age is simply a number, and every year we do not get old, but grow up, becoming wiser – so let’s do it together in a cool, friendly, stylish and cheerful way! Magic events taking the lovers to a new, bright, and happy life. Amapola Exclusive Events Company makes this day a delightful, memorable, positive and colorful, preserving tenderness and mystery of marriage, and at the same time, creating an incredible holiday of hearts and souls of not only newly married couple. Amapola Exclusive Events offers companies and individuals to develop a program to organize the visit of your guest. The program will include the following services: booking a hotel room; restaurant reservation, both in Baku and outside the territory; tickets to the theatre, concerts, exhibitions, film premieres; organization of city tour and tour to any region of Azerbaijan.